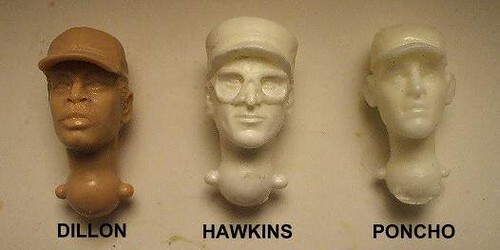 Livevil kindly shared the only known casts of these heads so that the rest of us could have casts if desired. As before, I am not looking to make any money on these casts. Any proceeds beyond my materials costs will be put toward the next new head sculpt commission from Krexx. 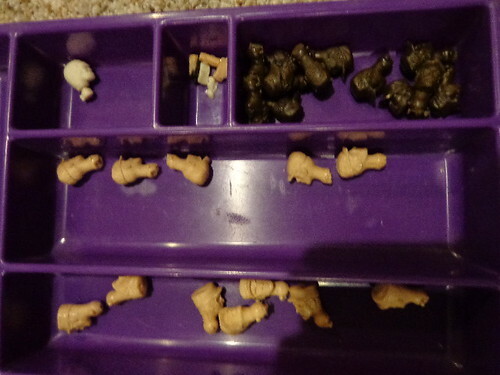 All are cast in appropriate skin tones, which may need painted to match up to Joe production skin tones. Once I ship back Livevil's original pieces, I do NOT intend to make new molds of these heads. Once the molds fail, you will have missed your chance to purchase these. Price: $3 per head. Or, I have some that have air bubbles in lips and ears, missing hat brims, etc. $1 each for mild defect casts. Thank you LIVEVIL and forcefull1.